Gareth McCully and Marcus Crane’s interiors shop – and the interior design business that grew out of it – have a superbly eclectic aesthetic. 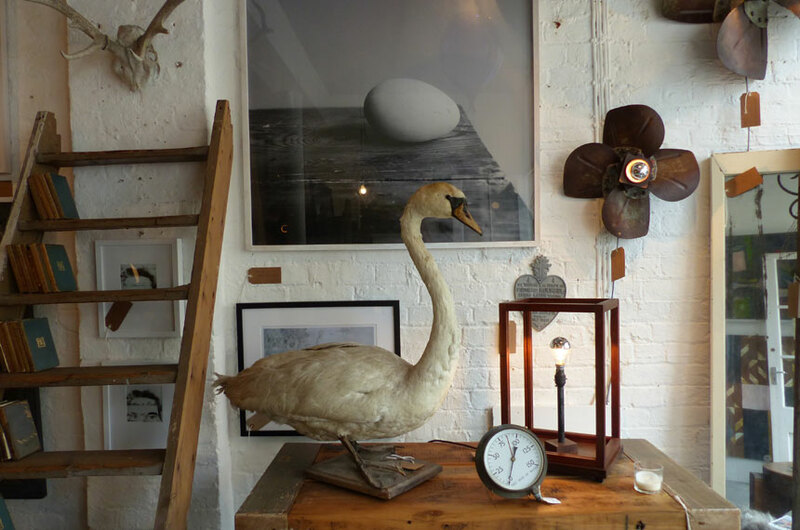 Taxidermy, religious artefacts, industrial lighting and furniture, posters, signage and original artwork make up the mix in their small shop. It packs a visual punch yet it’s perfectly balanced; nothing is too polished or precious, so there’s an informality to the overall look, even though it’s dramatically presented.